Every year you’re faced with the same Mother’s Day challenge: what to get for the woman who’s loved you unconditionally your whole life, whose figure was never quite the same after she had you and whose signature you’ve forged more than once. It’s a tough one! And if you’ve done slippers, flowers and bubble bath to death, why not make 2018 the year you think outside the proverbial box of chocolates and spoil her with one of these suggestions. Is your mom Nigella’s biggest fan? Or does her culinary repertoire need an overhaul? There are countless cooking classes available – everything from sushi and Spanish to Thai, French and Moroccan – and they offer a wonderful way to spend quality time with your mom, have fun and learn a trick or two to impress your own dinner guests. If your mom is adamant about not wanting or needing anything for Mother’s Day, why not donate a sum of money to her favourite charity? It’s a wonderful way to make a difference in the lives of South Africans in need, and as someone who has cared for you since the day you were born, your mom is certain to love the idea of supporting those who care for others. For a list of charitable organisations, head to charitysa.co.za. 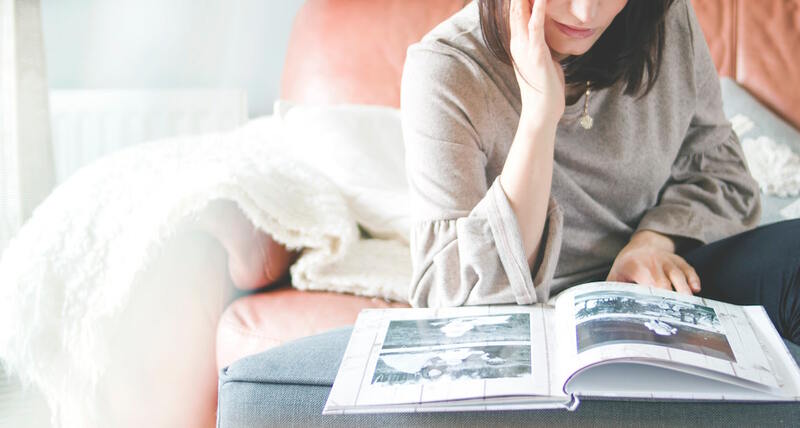 All moms love photos of their kids, no matter how grown up they are, and a photo book is the perfect way to transfer them from your hard drive (or some dusty old box in your mother’s attic) onto glossy, beautifully designed pages. While you’re at it, why not take the opportunity to include all the reasons you love your mom in your designs? She’ll love it – and she’ll love you for it! You may no longer be able to make your mom breakfast in bed, but that is no reason to end a wonderful Mother’s Day tradition. Why not pull out all the stops and treat your mom to breakfast at your place? Red velvet French toast, homemade granola and fruit salad, flapjacks with berries and cream, fresh pastries from your corner bakery – these are all delicious ways to spoil her. And if cooking’s really not your thing (or your spot is in need of some serious tidying), breakfast at a local coffee shop is also an excellent option. Sure, life insurance isn’t one of the first things you think of when it comes to Mother’s Day, but here’s why it should be: by nominating your mom as a beneficiary on your life insurance policy, you’ll ensure that if something were to happen to you, there are sufficient funds available to take care of her in her old age. Something worth considering (very seriously), isn’t it? If you’d like to find out about Standard Bank’s direct life insurance services, get a quote or request that a customer service agent call you back.